This is one of the most commonly used filaments for 3D printers. The reason behind it being so popular is because it can be used for various printing applications. It is low-wrap, completely odourless and heated bed is not required. This is often seen as a beginner plastic as it is easy to print with, however it is brittle and is not very strong. PLA is eco-friendly since it is made from renewable resources such as corn-starch and does not require that much energy for processing, it is also bio-degradable which means it will degrade over time and not stick in landfills for 1000’s of years. PLA prints with a low temperature : 190-210*C.. Because of this low printing temperature if you live in a sunny country your part could melt if left in the sun. It is also considered to be one of the most commonly used 3D printer filament. 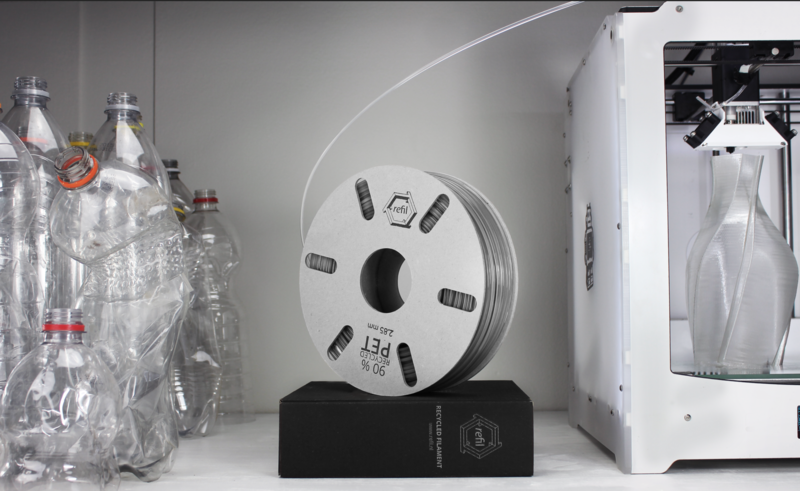 This filament is best for making durable parts which need to ensure high temperatures. If you compared ABS to PLA, the plastic is much less brittle and has some bend to it. This makes it much better for functional parts due to the added strength. ABS also is much harder to print than PLA, it requires a heated bed and an enclosed printer is a bonus. ABS needs to cool slowly otherwise it will contract causing warping and even the layers can split apart. Another factor of ABS is that it emits horrible fumes that can give you headaches and nausea, they currently are not believed to be deadly but some research could prove that wrong. So when printing in ABS try to vent the fumes outside. PETG is a another popular filament type, it has very good strength like ABS however it is said to print like PLA. A heated bed is useful for this material but sometimes not needed, it prints at around 215°C – 235°C depending on the brand. This filament is very useful if you want to print a large functional object that has good strength, as PETG will be easier to deal with warping than ABS. It also is odourless which is a plus. Nylon is a great filament to use for very strong parts. Nylon is very strong and durable and a bit flexible when printed thinly. It is a great choice for printing mechanical parts and functional parts due to it’s strength and high melting temperature. One problem, and benefit in some ways, is it’s very high melting temperature : at least 240°C. This is a problem as some hot-ends contain materials such as PEEK and PTFE, which when heated to that temperature will breakdown and emit toxic fumes. An all metal hot-end is a good choice to print nylon with but always check with the manufacturer. Another issue is that nylon must be kept dry as it absorbs moisture very easily, this is so bad that nylon can absorb more than 10% of it’s weight in 24 hours. Therefore you must keep it dry for good prints, by either containing it in a sealed container with a moisture remover or silica gel packets ( you get these with filament, they are actually very useful). Adhesion can also be an issue : A heated bed must be used at around 70-80°C. PET is a super strength filament and possesses a number of great characteristics. When not used in 3D-Printer it is used for plastic water bottles. This is yet another prints like PLA, works like ABS filament. It is said to have strength like ABS as well a much more flex than either PLA or ABS which means that it will be good under stress. Unlike nylon it doesn’t absorb water as easily which is another bonus, yet it is still a good idea to keep it in a sealed container. Adhesion is also meant to be easy with this filament. This plastics is also easily recyclable. The temperature that the filament prints with varies a lot from brand to brand : 160C -210C, of course a heated bed is always useful. It acts and feels like a flexible rubber. Because of its flexibility, this 3D printer filament is great for making 3D prints which have the same properties as a soft rubber. You may have heard about NinjaFlex which is this type of filament, it can be stretched and crushed and will return to its shape. It is quite hard to print with as you have to go slow so that the filament does not flex in the extruder and cause a jam. A direct drive extruder is recommended but a Bowden extruder will work (A Bowden drive extruder works better with 3mm filament due to it bending less easily). Again temperature will vary a lot from brand to brand but it usually prints at a slightly higher temperature than PLA to make it push through the extruder easier: 210*C.
This filament is another flexible filament that is supposed to be easier to print with than other flexible filaments. It is resistant to grease or oil and is elastic. It can be used in sporting goods, caster wheels, medical tools, footwear, power tools and many other things. TPU is also commonly used in mobile phone cases. It prints at a high temperature : 240-260*C. So like with nylon make sure that your extruder is compatible. A heated bed is also recommended. These are plastics that have another non-printable material added to them, such as wood and metals. These kind of plastics are great for visual appearance and texture, some metal filaments can also be polished to a shine. There are plenty of types of these filaments from wood, metal and even carbon fibre. One thing I would agree the most, among the other things mentioned in this post, the Exotic Plastics are truly great. My lab frequently uses them because we can add texture and other materials on them. Perhaps this post or section of the site could be expanded to include reviews, prices, etc. for filaments. Similar to the recent post about hotends, https://3dprinterchat.com/2017/11/10-hotends-for-your-3d-printer/, you could list out different brands and reviews. Thanks for telling me now I know what type of filament i should use. I have a compounded plastic specifically suited to 3D Printing. I infuse PP or PET with nylon. 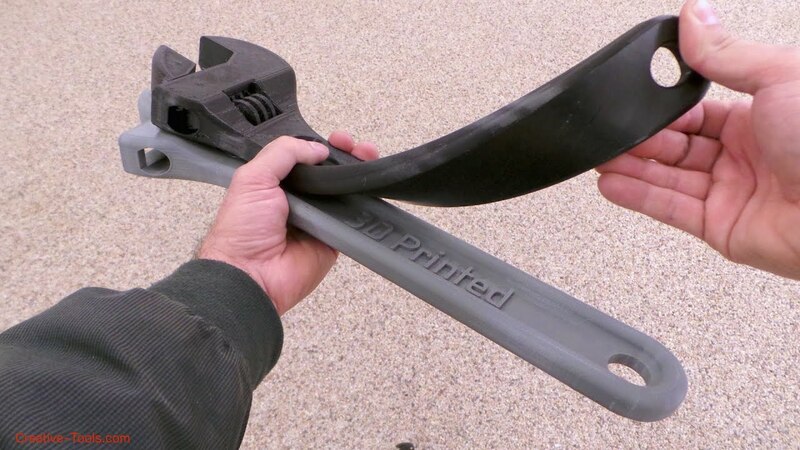 It will not absorb moisture and will make a very strong easy to print filament. I will gladly supply samples for evaluation. Just email me with your request. The samples are pellets and must be extruded into filaments. I actually developed a whole online class about those! I do need to update for PC and HIPS, but I do cover soluble PVA and others. Look for the class on this site! Thanks Stan. I’ll look for your class. Is it a tutorial? Stan, I looked and could not find that class you talked about. I checked through your posts but didn’t see it. Could you point me in the right direction?